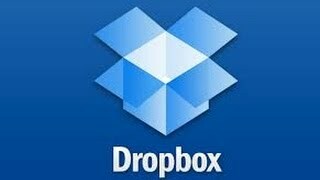 Dropbox is one of the leaders in cloud storage and I use it every day for both business and personal files. Installing and using Dropbox is extremely easy - it's really something you can just set and forget. 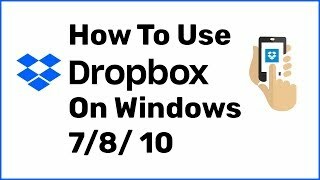 All you do is create a file structure within your Dropbox folder and then create/edit/save things as you normally would and everything within that main Dropbox folder automatically syncs to the cloud (and to any other computer you have Dropbox installed on as well). 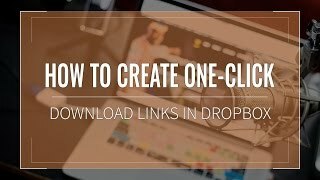 I use Dropbox to sync all of my computers (2 desktops and 2 laptops) so that I have all of my client work available on all of them any time I need them. I can also access those same files from my phone, so if a client needs a file while I'm on the go or if I need to post an image to social media, I can just pop into my account and grab it. Sharing files is also very easy to do from any device as well. The only potential downside of Dropbox is the price because in the last year or two, many competitors have offered far more free space than the 2 gigs Dropbox offers. The ease of use is what keeps me coming back to Dropbox, but I also have a Google Drive account that I use as well due to it's wide integration with 3rd party apps and extremely low price. Bottom line: Dropbox is a solid product that has worked flawlessly for me. If you need more free space than the 2 gigs, you'll likely need to look elsewhere and the price for the paid plan ($9.99 a month for 1 TB at the time of writing) is still a deterrent for some. 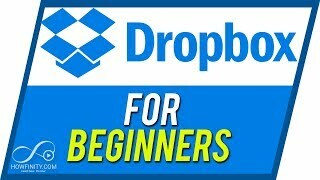 Read more: http://www.webproeducation.org/how-to/dropbox/how-to-get-started/ In this simple video tutorial, I will show you how to create a free Dropbox account. 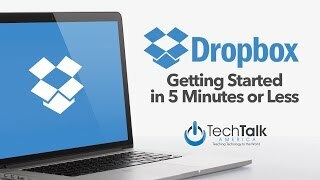 Dropbox is arguably one of the most popular cloud storage services. Before you start saving files on dropbox, you need to create an account. Go to dropbox.com Click on the sign up button. Fill in the sign up form with correct details. Agree to the Terms and conditions. Click Sign Up. Dropbox will create and log you in to your new account instantly. Signup for a FREE Trial: http://chq.io/chqdbgd Here is an example how cloudHQ can backup and consolidate data from all your cloud accounts used in your organization to the central cloud storage. The client has shared a Dropbox folder with the project manager of your team. You’d like to have the rest of the team kept in the loop when the client updates or adds files in the shared Dropbox folder without asking your team to use Dropbox. Since all cloud accounts are backed up and consolidated to the central Google Drive account, simply share this Google Drive project folder with the team. Every time a new file is changed or added in Dropbox, the file also gets changed or added into Google Drive. It’s a simple cause and effect workflow. If for some reason, the client accidentally deletes a file, don't worry - everything is backed up: you’ll still have access to it in your Google Drive account, inside your cloudHQ archive folder. 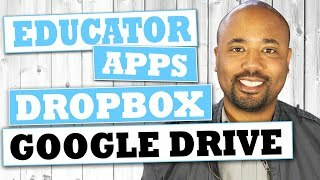 A tutorial on sharing Google Docs and Google Drive files with non-Google users or users without a Gmail account. 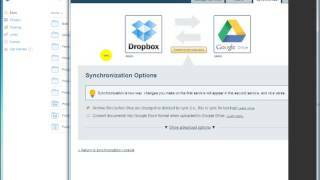 This video will show you how to send Google Drive files as email attachments in a format that the recipient can use or how to set the permissions to Google Drive files as public so that non-Google users can access and edit the file right in their internet browser without actually having a Google account. 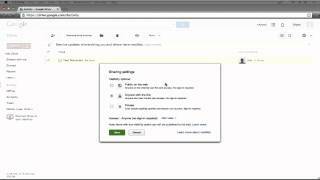 Google Docs and Google Drive Video Tutorial 2013 http://ansonalex.com/tutorials/google-docs-and-google-drive-video-tutorial-2013/ Gmail Tutorial Video Series 2013 http://ansonalex.com/videos/gmail-tutorial-video-series-2013/ Produced by Anson Alexander from http://AnsonAlex.com.